That is the figure contained on page 14 of the pdf given to councilors at a 2019 Annual Plan ‘workshop’ on 14 February, see below. And how much is inflation? According to the Reserve Bank, the inflation rate for 2018 was 1.9%. That may be, but we all know how much notice gets taken of ratepayer submissions on both Annual Plans and Long Term Plans. That above figure is the districtwide average, and as Waikanae people know, they were hit for a lot more than the average last year — our increase, for example, was 8.2% and we know of increases in the beach zone that were over 17%. Auckland’s mayor Phil Gough is being criticised for the proposed rates increase there of 3.5% — an increase that Waikanae people can only dream of. Hi Geoffrey, if you look at the long term plan, you can post up here, the proposed annual rates increases for the next 20 years. It’s no secret. That 6% is even worse… but it’s Election Year! Oh sorry that’s the Tweed Shire Council and the increases are regulated buy the government. Sadly National and Labour have been wrecking NZ for years and letting councils play their silly games at ratepayers expense. 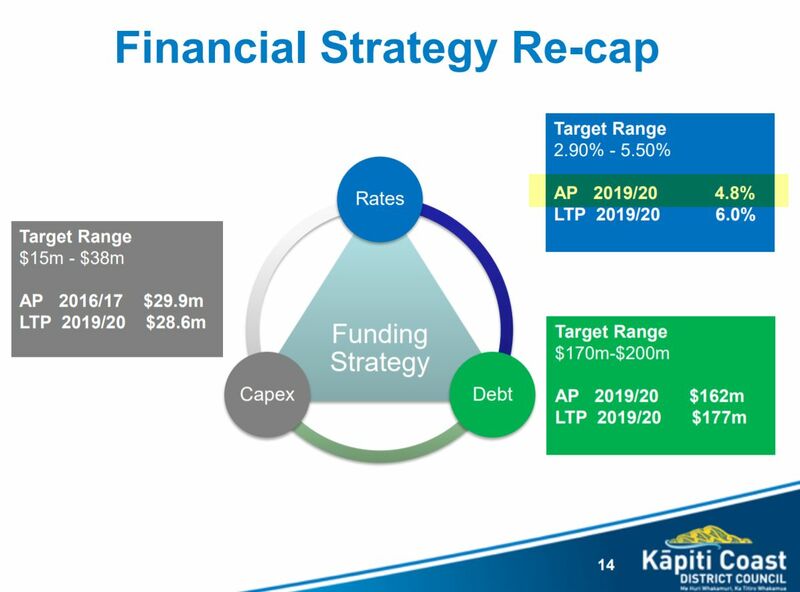 Kapiti needs a clear out of the old guard (again) and it be replaced with a council focusing on the core services with no handouts and a drastic reduction in staff and vehicles. We look forward to seeing people prepared to take on the challenge and hope that they dont split the vote again. And no we don’t need a new flag. Under STV there aren’t really ‘split votes’; the important thing is that everyone puts the least desired candidate(s) last in preference, and not just vote for the one you want to win.